From time-to-time, ARMN’s Membership Committee posts profiles of our members including how they came to be master naturalists, which parts of nature they most enjoy, and how they have an impact on the environment around them. The latest biography is for ARMN’s founding member, Caroline Haynes, who established and graduated from our first training class in 2008. Alison Sheahan conducted the interview. Tell us about the ARMN projects you spend time with. I currently serve on the ARMN Board as a past-president, now with a purely advisory role. There is tremendous talent and enthusiasm on the ARMN Board. They are a terrific group of people—so smart and committed and fun to be with. I actually look forward to these meetings! I enjoy the people that are drawn to ARMN, as they are so talented, and come from so many diverse backgrounds. I’ve always enjoyed being able to sample a variety of volunteer activities: Earth Sangha (note: Caroline arrived at the interview lunch fresh from sorting seeds with Earth Sangha), Plant NOVA Natives, Audubon at Home, outreach and education events like the Arlington County Fair, presentations to community and school groups, biotic surveys like those with the National Park Service along the George Washington Parkway, invasive pulls, and restoration plantings. I also still review the applications for each new class of Master Naturalist trainees. I ran the first six ARMN training classes, so I appreciate the huge volunteer effort involved with the basic training classes and am still glad to contribute. Well, there was no ARMN until I talked to Alonso Abugattas, then the naturalist my kids and I knew at Arlington’s Long Branch Nature Center (LBNC)! Frustrated that Arlington County residents would not be allowed into a neighboring Master Naturalist program, we explored starting a chapter in Arlington. 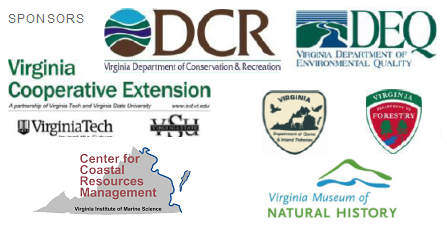 I chaired the coordinating committee back in 2007, and had lots of support from Alonso (now, the Arlington County Natural Resources Manager), Rachael Tolman, a naturalist at LBNC, other naturalists in Arlington, as well as Rod Simmons, Alexandria’s Natural Resource Manager and Plant Ecologist. It took us a year to get ARMN up and running, especially demonstrating that there would be enough demand for another program in such close proximity to the Fairfax Master Naturalist chapter. Alonso agreed to be one of our first instructors and I was actually part of the first training class in the fall of 2008, along with 24 others including current ARMN president Marion Jordan. I became president of the chapter then, and served in that role until December 2013. My “local” journey toward finding and founding ARMN probably had most to do with our purchase of some property in West Virginia. The more time I spend in the woods, the more my curiosity is sparked by what I observe. I began taking classes in the Natural History Field Studies program at the Audubon Naturalist Society in Maryland. That is where I first heard about the Master Naturalist program forming in Virginia. Tell us something about your childhood/adulthood experiences that shape your perspectives on nature and your work for ARMN. Well, I grew up in Colorado! So hiking, camping, and being outside in beautiful places were always part of the deal. After earning a degree in International Finance/International Relations, I came to Washington to work in the Senate and then later as Deputy Assistant Secretary with the Treasury Department. I feel like it is my experience on the Hill that led me to see how important it is for people to “have a seat at the table” to get anything done. I also met my husband on the Hill and we settled in Arlington, soon joined by our two daughters. Yes, I strongly encourage others to get engaged in their local advisory groups. ARMN doesn’t generally count this service for hours, unless it has a direct natural resources connection, but it is important to add that natural resources perspective. 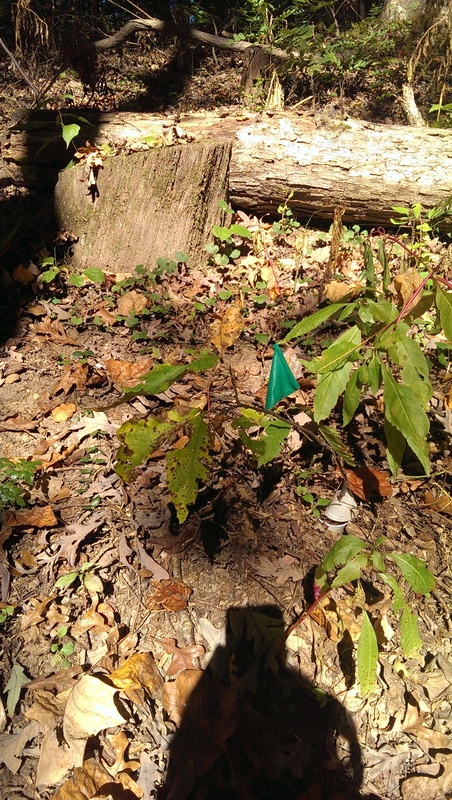 I currently serve as the Chair of the Arlington County Park and Recreation Commission, as a member of the Arlington Urban Forestry Commission, and as chair the Natural Resources Joint Advisory Group, which is charged with monitoring the implementation of the county’s Natural Resources Management Plan. I also serve on the Chesapeake Bay Ordinance Review Committee. We review plans by homeowners and developers when building in the resource protection area to ensure that mitigation measures comply with the Chesapeake Bay Ordinances. In addition, I am co-chair of the Plan for Our Places and Spaces advisory group, where we are working on an update of the public spaces element of the county’s Comprehensive Plan. I am also serving as co-vice chair of the Four Mile Run Valley Working Group. Citizen action is important, now more than ever. Paying attention to plans before they gather the full weight of policy is critical if we are to develop a more environmentally-sensitive direction. Fairfax County annually recognizes individuals, groups, and organizations in a community-wide celebration of volunteerism. Among the 2017 nominees for awards were ARMN members Joan Gottlieb and Toni Genberg for their outstanding service at Earth Sangha’s Wild Plant Nursery. While they were not chosen for awards in their categories, ARMN is pleased to recognize their work here and share details about their nominations from Katherine Isaacson at Earth Sangha. Two of ARMN’s most steadfast volunteers were nominated for this year’s Fairfax County Volunteer Service Awards. They were each recognized for extensive work at Earth Sangha, which is the region’s largest local ecotype, native plant nursery. Joan is acknowledged as someone who “does it all” at Earth Sangha’s Wild Plant Nursery. 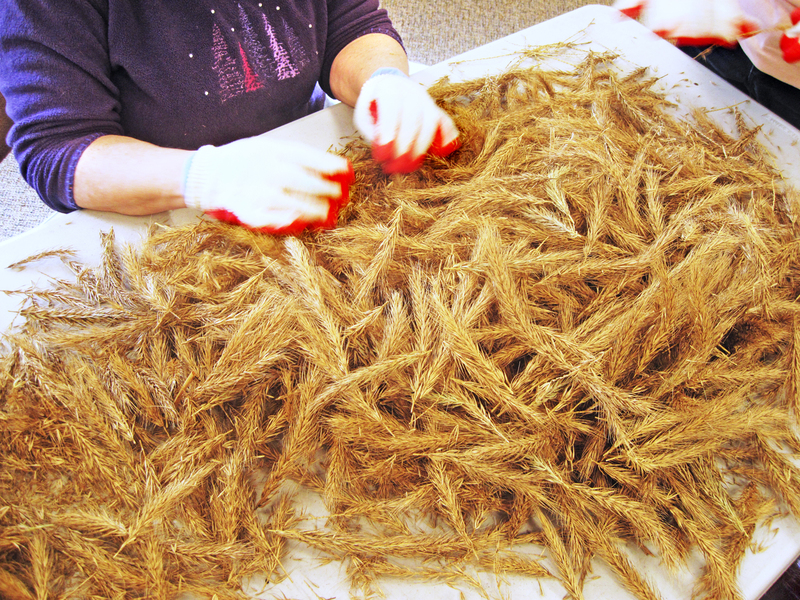 She collects and cleans seeds, plants and transplants native species, weeds, waters, and removes invasive species. She is also a leader who teaches other volunteers, and uses her knowledge of local ecology in both Earth Sangha’s fieldwork as well as her own backyard and neighborhood parks. Read more details about Joan in Earth Sangha’s nomination for her over 250 hours of work. Toni is a long-time volunteer at the Wild Plant Nursery who contributes to everyday tasks while helping other volunteers learn the routine. 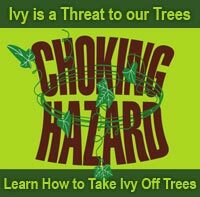 She also participates in invasive plant removals and native species plantings. As an experienced native plant gardener and naturalist, she teaches others the importance of native plants and the local ecology. And as a professional video editor and videographer, Toni has created an informative video about Earth Sangha’s work. See Earth Sangha’s nomination for Toni as a rising star among Fairfax County volunteers. ARMN appreciates Joan and Toni’s efforts at Earth Sangha and all their work in the community. They truly represent the best of volunteerism in support of the natural world. From time-to-time, ARMN’s Membership Committee posts profiles of our members including how they came to be master naturalists, which parts of nature they most enjoy, and how they work to impact the environment around them. Here is the latest biography of ARMN volunteer Honora Dent who graduated in the Spring 2014 ARMN training class. ARMN would also like to highlight her involvement with the Virginia Cooperative Extension Service’s 4-H Youth Development Program and the upcoming 4-H Outdoor Explorer volunteer training on February 15th. Tell us about the ARMN projects on which you spend the most time. For the past two years I have been an active member of the Arlington County stream monitoring team. I enjoy monitoring the health of county streams by counting and identifying the various macroinvertebrates present in the water. I would have never predicted at this stage of my life I would be wading in streams, scrubbing rocks, and collecting samples of aquatic organisms, or be able to distinguish between a Damsel fly and a Mayfly larva, but I really enjoy it, and appreciate that the County uses the information to monitor long-term trends of our streams. Releasing macroinvertebrates into nets, Arlington Outdoor Lab, Broad Run, VA. Collecting stream samples, Arlington Outdoor Lab, Broad Run, VA.
Volunteering at Earth Sangha has become an important part of my week. I especially enjoy working at the native plant nursery doing whatever task is assigned, such as planting, weeding, and filling pots. 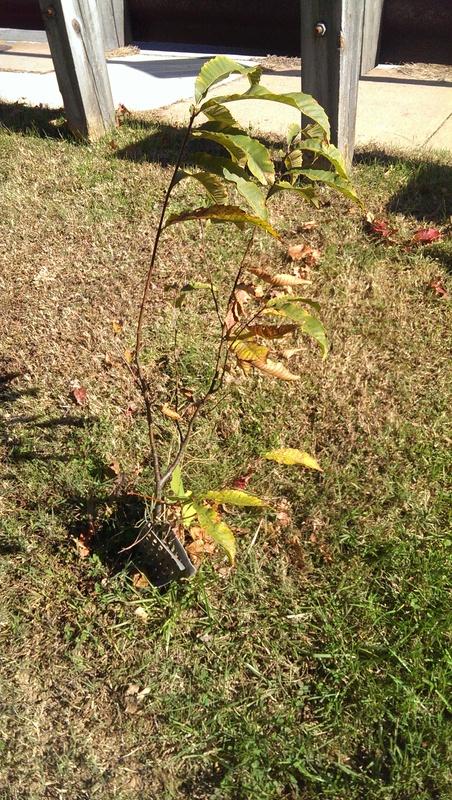 I also enjoy going out in the field to collect native plant seeds and later “cleaning” the seeds for future planting. These tasks offer me a reflective, meditative environment as well as an opportunity to engage in meaningful conversation with other volunteers. I enjoy the physical activity involved with invasive plant removal. This past year I joined the National Park Service Weed Warrior program to remove invasives along the George Washington Parkway and on Theodore Roosevelt Island. My most memorable experience was working with 30 students from the International Academy at Alexandria’s T.C. Williams High School. Verbal communication within the group was difficult due to language differences, but the smiles on the students’ faces as they enthusiastically removed English ivy and honeysuckle vine from the trees indicated the pleasure and fulfillment they felt working together to make these areas better places. My most recent ARMN adventure is participating in 4-H Outdoor Explorers at Randolph Elementary School in Arlington. 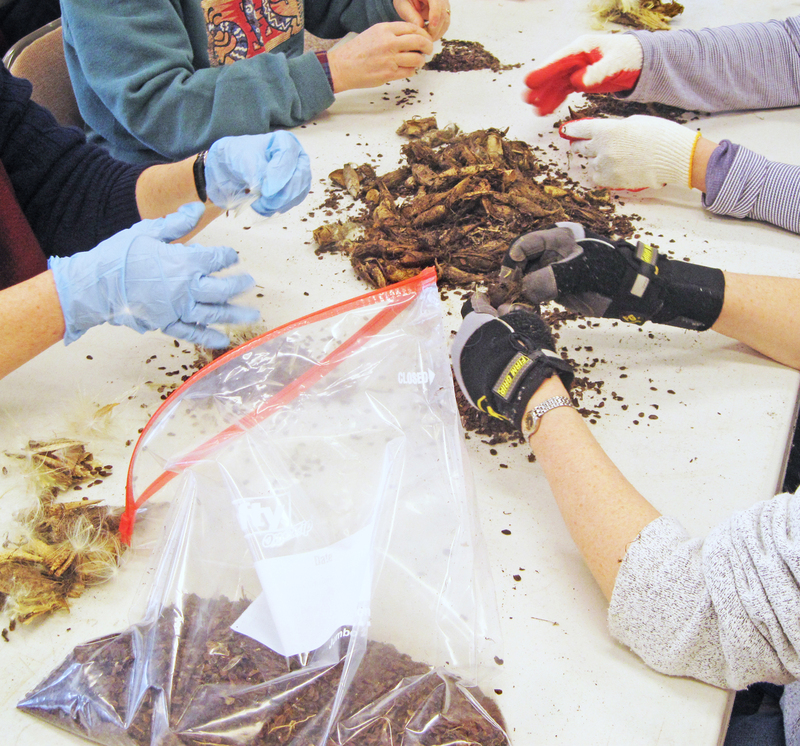 This after school program takes place at a few elementary schools in Arlington and offers students an opportunity to learn more about the environment with a focus on fun and exploration. Partnering with Arlington County’s Extended Day Program, 4-H Outdoor Explorers volunteers promote youth environmental literacy, encourage outdoor play, and serve as positive adult role models. I have had very little experience working with youth, and while working with the students has been challenging, it is also very rewarding. Photo courtesy of National 4-H Council. I first heard about ARMN from friend and fellow ARMN member, Pat Findikoglu. We were at the Columbia Pike Farmers Market catching up on our lives and she mentioned ARMN. The more Pat talked about the ARMN training course and the variety of volunteer and educational opportunities, the more I knew that I wanted to sign up. I had always enjoyed spending time in nature but had little formal training and ARMN seemed like a good fit. I submitted my application, graduated from the Spring 2014 class, and have no regrets. Without a doubt joining ARMN was one of the best investments I have made in my life. Without a doubt the best thing about ARMN is its volunteers. I have never met a more welcoming, knowledgeable, and fun-loving group. ARMN offers me a vast variety of ways to occupy my time with meaningful work, a community of likeminded people to learn from and share experiences, and educational classes to enhance my knowledge of the natural world. Thanks to ARMN I have learned so much and have become a better steward of the environment. Spending time outside enjoying and observing nature has been part of my entire life. I had the good fortune to grow up within walking distance of the Severn River in Maryland and spent much of my free time exploring the river and nearby woods. I learned about birds, crabs, fish, turtles, snakes, and many other creatures from an elderly neighbor who had lived on the river her whole life. 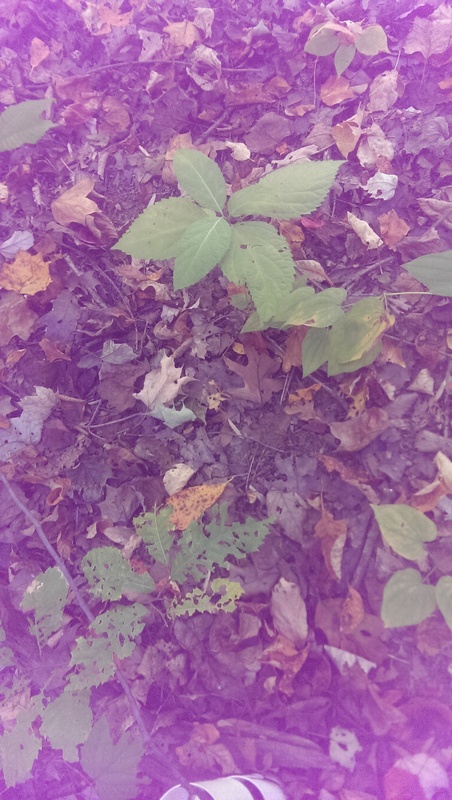 I also learned about local plants and critters from a science teacher who lived across the street. One of my earliest memories is watching a turtle laying her eggs in our sandbox. My family spent every summer at Higgins Lake in Northern Michigan. Time at Higgins Lake was especially exciting as we had no electricity or indoor plumbing. The family cabin sat along a large freshwater inland lake surrounded by an oak and white birch forest. We spent our days fishing, boating, swimming, and walking in the woods. My favorite after dinner activity was riding my bike along the dirt “2-track” roads looking for deer and other wildlife. Before retiring I worked for 46 years at a local hospital as a Registered Nurse and IT Analyst. During my nursing career I participated in direct patient care, nursing management, and administration. My information technology positions focused on building and managing the clinical documentation database as well as training clinical staff and physicians. What would other ARMN members find interesting about the non-ARMN parts of your life? I am a very competitive person who loves to participate in of all types of sports including tennis, cycling, softball, and basketball. Since retiring I have learned to play pickleball, which I play 2–3 times per week with other Arlington seniors at the Walter Reed Senior Center. 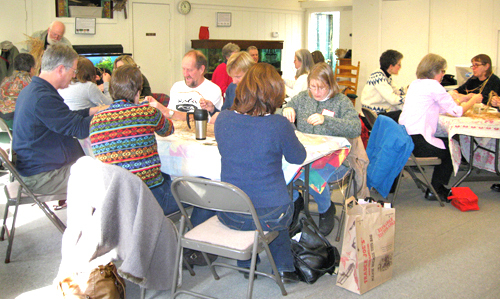 ARMN will sponsor the equivalent of a quilting bee or a barn-raising. 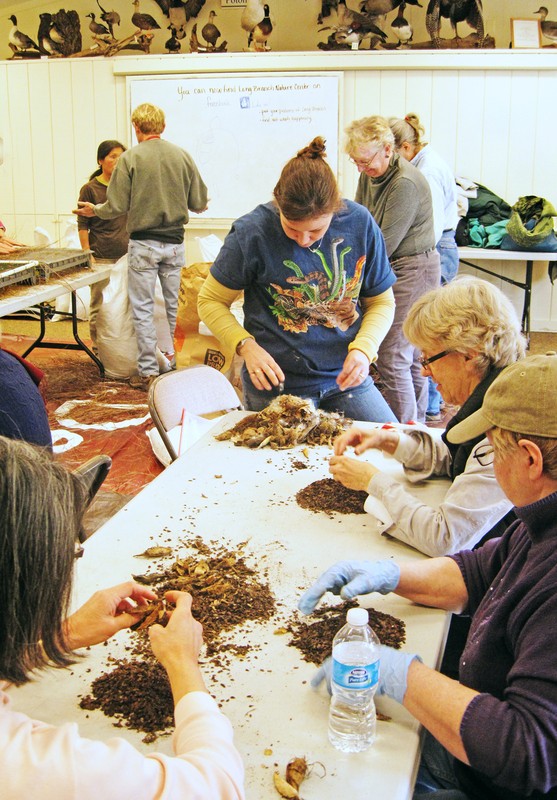 ARMN volunteers help with seed cleaning at Long Branch Nature Center. Photo by Rodney Olsen. Please join the Monday gatherings of Master Naturalists for this vital service in support of our partner Earth Sangha. The experience will be educational and fun for all! How useful is the idea of planting on public lands as a part of ecological restoration? How do we create a solid conservation agenda for a natural area that is degraded in various ways? How do we know that we are getting it right? What are the pitfalls of using cultivars? 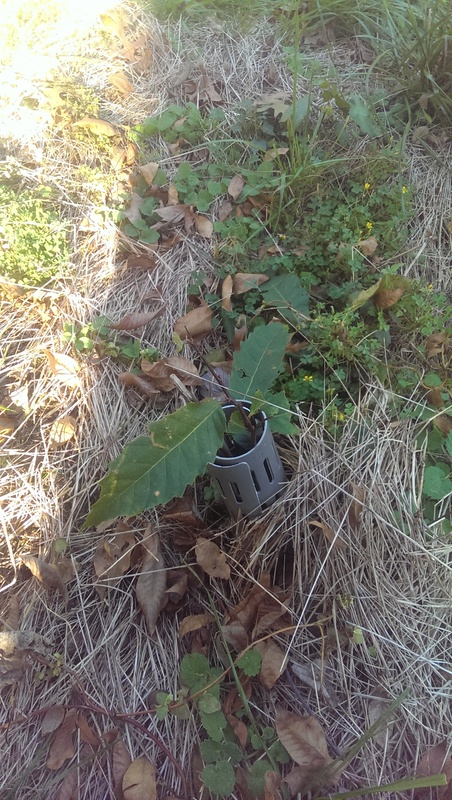 What are the problems of planting to anticipate climate change, such as planting species from farther south? These are some of the questions Rod Simmons addresses in a recent interview with Chris Bright, co-founder and President of Earth Sangha. Rod Simmons explains the hierachy of priority in ecological restoration: preservation, stewardship, and full-bore restoration. He tells us that it is important to know the site and understand the reasons and disturbances we are dealing with. A failure to match the species to the site in a scientifically appropriate way can cause more harm. He gives multiple examples to illustrate that well-intended actions are sometimes misguided and can result in irreplacable changes. Rod Simmons’ interview is featured in the November 2012 The Acorn, the newsletter of the Earth Sangha. A .pdf of the interview is also available here. Rod Simmons is the Plant Ecologist for the City of Alexandria, a member of the Virginia Botanical Associates (a nonprofit scientific organization dedicated to the study of Virginia’s flora), a board member of the Virginia Native Plant Society, and Botany Chair of the Maryland Native Plant Society. 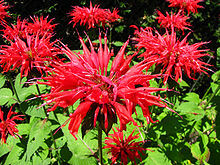 A life-long resident of northern Virginia, Rod has an encyclopedic command of the local flora. Earth Sangha, a partner of ARMN, is a nonprofit charity based in the Washington, DC area devoted to ecological restoration. 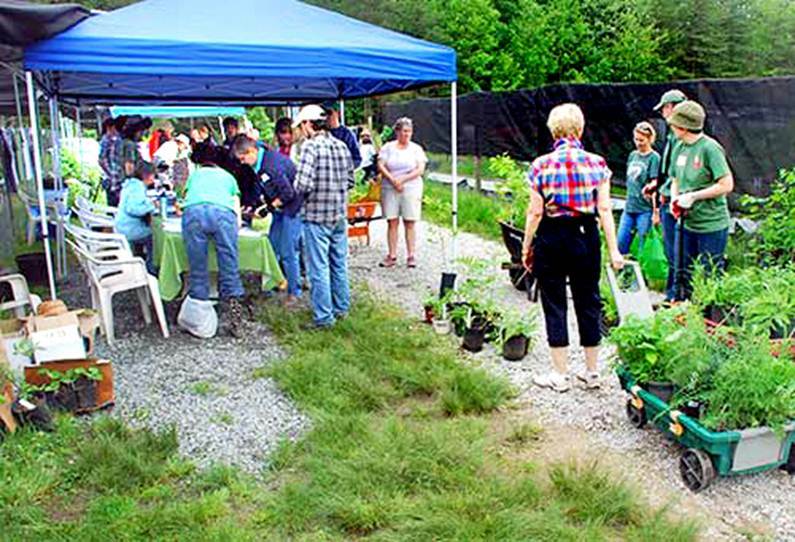 Many members of ARMN volunteer regularly at the Earth Sangha Wild Plant Nursery and help with Earth Sangha sponsored events such as plant sales, seed gathering, seed cleaning, and other ecological restoration events. May 2012 Native Plant Sale. Photo by Earth Sangha. The Earth Sangha Native Plant Sale, co-sponsored by Arlington Regional Master Naturalists, occurred on May 6 and was a great success. Following the dictum that “good news is never old news,” here is account of the sale by Lisa Bright, Executive Director of Earth Sangha.